AOSEC (Association of South East Colleges) has received funding from the Education and Training Foundation to provide work experience opportunities for final year undergraduates or recent graduates interested in pursuing a teaching career in Further Education. The AOSEC have a number of colleges in Sussex, Surrey, Hampshire and Thames Valley who will provide 40 hours of work experience covering a range of activities to give an insight into what teaching in an FE college would be like. 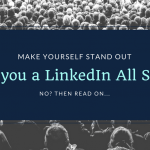 Are you a LinkedIn All Star? 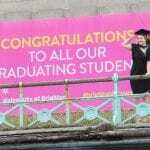 Graduate internship opportunities – some excellent roles! Did you know you can get a certificate for volunteering?